With the much-anticipated NBA Finals between the Cleveland Cavaliers and the Golden State Warriors set to tip-off on Thursday, we can’t help but feel a little bit bad for Kevin Love. Here’s a guy who, up until this year, had never been to the postseason. Then four games into his playoff run, Love gets tangled up with Boston’s Kelly Olynyk, separates his shoulder, and is forced to undergo season-ending surgery. And just like that, his first postseason appearance has come and go in an instant. Under these circumstances, it’s great to see Love in such high spirits. This has already been one of the more trying seasons of his seven-year career. While the Cavaliers, as a whole, have used this 2014-15 season to come together and find an identity, the perception that Love hadn’t been able carve himself out a place in Cleveland was persistent. Is it really surprising that some believe it was only a matter of time before he cut his losses, opted out of his deal, and bolted to a new club this summer? 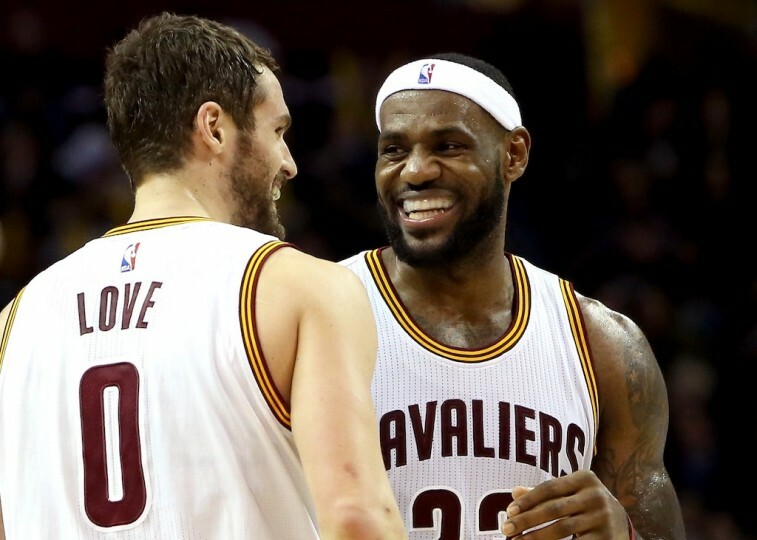 We get it, but we can’t help but think that staying in Cleveland would be the right move for Love. Interestingly enough, we may not be the only ones on this page. On Sunday, while talking with reporters for the first time since his surgery, the former UCLA Bruin indicated that not only does he expect to be ready for the first game of the 2015-16 season, but he intends to be suiting up for the Cavs. For a guy who has had speculation following him around like a shadow, Love seemed quite adamant that Cleveland was where he intended to be next season. That doesn’t mean others don’t see him weighing his options over the summer. “I think he’s going to look around,” Wojnarowski said. “I think he’s going to look closely at Boston. I think he’ll look at LA. I’m sure the Texas teams are going to try and get involved. “If you remember, he really liked Kevin McHale in Minnesota,” continued Wojnarowski. “Would he fit potentially in Houston? It seems like every summer, they have the ability to go out and create a max slot, and they do this summer again. They know they have the option to do that. Love can look all he wants. There’s no doubt the guy will have plenty of options available to him. But make no mistake, the smart play — the right play — is to remain in Cleveland. First, the Cavaliers are in a position to offer him more money that any team in the league. If he plays next season under his current deal, Love will be set to make $16.7 million. 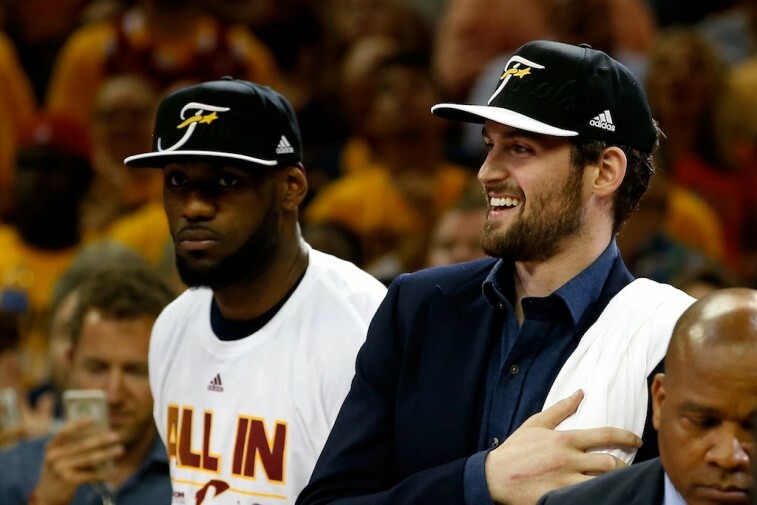 If he chooses to opt out of the contract, then only Cleveland can offer him a five-year deal. From a financial standpoint, the answer is clear. But we’re going to take things a bit further. After all, money comes and goes. But championships last a lifetime. Prior to joining the Cavaliers, the most wins Kevin Love had ever experienced in a single NBA season was 40. That feat occurred in the 2013-14 season; one that was also a big statistical year for the power forward — Love averaged 26.1 points and 12.5 rebounds, as the clear first option for a lackluster Minnesota Timberwolves team. Needless to say, that’s nothing compared to what Cleveland has done this 2014-15 season. In just one year with the Cavs, Love’s numbers may have regressed — 16.4 points and 9.7 rebounds per game — but he’s become part of a 53-win team. For all the difficulty he may have had while trying to play with a superstar like LeBron James, Love had finally put himself in a position to succeed in this league. That, in an of itself, should be reason enough to remain a Cavalier. But here’s another: If year 1 produced these kinds of results, just think what could happen in year 2. The first year for the Cleveland Cavaliers was always going to be about the process. It was going to require trial and error. It was going to require ups and downs. It was going to require sacrifice. 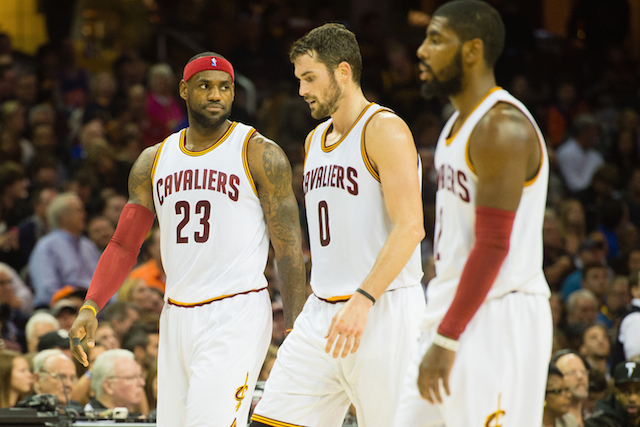 Even Kyrie Irving found himself playing second fiddle to James. Yet, no one was forced to give up more of their game than Kevin Love; and it couldn’t have been easy on him. But now it’s June, and the Cavs are representing the Eastern Conference in the NBA Finals. Love may not get to play this time around. But if he stays in Cleveland next season, we have a feeling he may just get his shot. And how could he possibly walk away from that?